If you need to keep track of your blood pressure on a regular basis, then visiting the doctor’s clinic each time may not really be a feasible option. So, it is a good idea to buy a blood pressure monitor that offers you a convenient way to keep track of your blood pressure at home. Also, taking several readings at home may give you more accurate results than at the doctor’s clinic. The Omron 10 Series Blood Pressure Monitor is an excellent blood pressure monitor that you could consider buying for your home. One of the best blood pressure monitors is produced by Omron, which is the No. 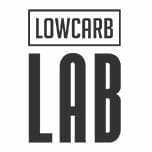 1 brand recommended by doctors worldwide and has been manufacturing top-quality blood pressure monitors for over 40 years. The blood pressure monitors from Omron are high-quality, made using state-of-the-art technology and loaded with innovative features that make them among the best monitors on the market. The Omron 10 is an advanced blood pressure monitor that has been designed for home use which provides consistently accurate readings. The Omron blood pressure monitor is extremely easy to operate. All you need to do is insert the batteries into the device and plug in the blood pressure cuff into the device, position the cuff correctly on your arm and simply press the Start/Stop button to operate the monitor. The monitor also has a Quick Start feature and the device comes with easy to follow instructions. The contoured wide range Easy-Wrap Comfit upper arm cuff of the Omron 10 blood pressure monitor ensures a proper fit that reduces the risk of inaccurate readings due to wrong positioning of the cuff. The cuff is suitable for both regular, as well as large arm sizes (of around 9”-17” circumference) and provides accurate readings every time. The Omron 10 monitor features the TrueRead technology that takes 3 blood pressure readings consecutively at intervals of 1 minute and displays the average of all to give you an accurate reading. The blood pressure monitor has a display screen that is backlit, which features very large readings and the indicator has lights of various colors which enable to see the readings and alerts at a quick glance. For example, the green light indicates that the blood pressure is in the safe range, while the orange light indicates high blood pressure levels. The innovative Omron 10 Series Wireless blood pressure monitor is equipped with Bluetooth technology and it can be synced wirelessly to your smartphone via Omron’s free Android and iOS Wellness app that can be downloaded via Google Play or the App Store. This allows you to view your blood pressure readings anytime and anywhere and you can also share your readings with your doctor. The readings can also be shared via email. The Omron app offers storage space that facilitates the storage of 100 readings of 2 different users. This allows you to store all your information without the fear of running out of space. The Omron Wireless blood pressure monitor also has the feature that allows you to connect wirelessly to the online dashboard where you can record and keep track of all your blood pressure readings. The blood pressure monitor comes with an inbuilt storage case for the arm cuff which offers convenience. However, if you are looking for a portable arm Bp Monitor consider the Panasonic EW3109W. Multicolor indicator lights which become green when blood pressure is normal and orange when it is in the hypertension range. Customers who bought the Omron 10 blood pressure monitor had several positive things to say about the device. Many customers who bought it were extremely happy with their purchase, as they found the Omron 10 to be quite accurate. A customer loved the idea that the monitor stored the latest reading and you can delete the readings you no longer require. Customers found the device connected via Bluetooth very convenient. One customer stated that he could show his BP history over a few months to his doctor. Buyers love the clear visual readout of the blood pressure monitor and that it can store the reading of 2 persons. A buyer said that the blood pressure monitor was extremely easy to use and his wife used it several times in a day and he synced it to his smartphone and was amazed at the data storage, graphs and charts and was very happy with his buy. Buyers said that the cuff of the monitor can be adjusted without much of an effort and the Omron 10 is the best blood pressure monitor that offers efficiency, reliability, accuracy, quality and dependability. Many customers who bought the Omron 10 blood pressure monitor complained that the BP values recorded were inaccurate. Customers felt that the cuff of the monitor is suitable for people with smaller upper arms and may not fit people with a large upper arm or may produce incorrect readings. Customers felt that the price of the blood pressure monitor was too high. And, customers stated that the monitor is compatible with only a few limited smart devices. 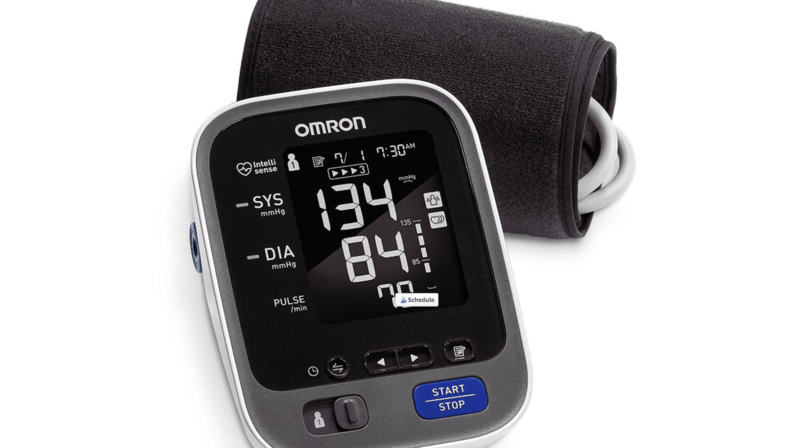 You can easily buy the Omron 10 Series blood pressure monitor on Amazon, where the cost of the monitor varies between $60 to $83 with free shipping. The blood pressure monitor also comes with a free returns policy, where you can return the product within 30 days of purchase and get a full refund of your amount. The Omron 10 Series blood pressure monitor is slightly on the more expensive side. Nevertheless, the ease of use, features, reliability and accuracy of the blood pressure monitor makes it a worthwhile investment. So, if you’re looking for a home monitor for long-term use, then the Omron 10 is a great buy or better still check out Omron 7 series for more options.